How old were you when you first got your driving licence? How many years have you been on the road – and do you think you could still pass your test now? With age comes experience, as they say, but is there a point where age can become a deteriorating factor in your driving? Figures show that a record 100,000 people number of people aged over 90 holding a driving licence in Britain, so ensuring that you’re a sound and competent driver is a priority for staying safe on the roads. 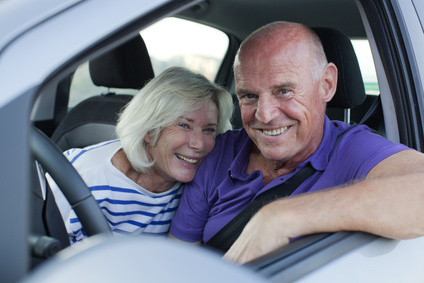 At Trust My Garage, we want to ensure drivers of all ages have a safe and happy driving experience, so we’ve put together some advice to help older drivers stay at the top of their game when it comes to getting behind the wheel. The best way to make sure you’re still safe to drive is with regular eye tests. If you already wear glasses, your optician will advise you on how frequently an eye test is needed, depending on the severity of your visual impairment. If you don’t wear glasses, you can visit a local optician and ask for an appointment. If you’re aged 60 or over and a UK resident, you should qualify for an NHS funded eye test. You can enquire at your optician about redeeming this free test. If you find yourself struggling to read traffic signs when out on the road, along with number plates or other important road details such as potential hazards, you should book an eye test with your optician as soon as possible. Eyesight deterioration can sometimes be a symptom of other effects of ill health, so any issues should be checked by a professional. Not only can poor eye health affect you, it can also affect other drivers if you’re involved in an accident. If you don’t see a hazard until it’s too late, it will affect your reaction time to the hazard and potentially cause a dangerous accident – which could also involve other drivers! For the safety of yourself and other drivers, it’s better to be cautious and check that your eyes are working as best they can. As you age, it’s important to let your body rest and catch up with your mind. After all, we aren’t all lucky enough to stay 16 forever! In many older people, they are often “only as old as they feel”, but when it comes to driving, older motorists must acknowledge that their bodies change with age. Tiredness plays a key factor for any driver, but it can be especially prevalent among older motorists. Giving yourself a break on longer drives is imperative to letting your brain rest, as concentrating for long periods of time can really cause your driving to suffer. Even younger drivers can fall prey to tiredness! It’s often a mistake that drivers overlook, but one that can cause real issues. If you’re driving for over two hours you should break for at least fifteen minutes, and as you get older you can increase the amount of your rest stops to suit your needs. If you aren’t used to driving long distances you should also factor in more rest stops, and take time to have a break and stretch your legs or get some refreshments where you can. Did you know that it’s illegal to drive with legal drugs in your body if it impairs your driving? From hayfever to headaches, it’s important to check packaging for any potential side effects and issues, as often many motorists don’t realise how significantly medication can affect your driving. This is especially true for prescribed medication, as it is usually stronger than anything purchased over-the-counter. If you’re unsure about the effects of any medications you take, you can check with your GP for their professional opinion. If you find that you’re struggling with driving as you get older, it’s possible that some refresher driving lessons may help. It’s important that you know the rules of the road, and in some cases a piece of forgotten knowledge could come in handy! Many driving schools offer refresher lessons on areas of motoring that you feel less certain about, and you can take as many lessons as you need – even if it’s only one! If you’d like more of a theoretical refresher, you can also re-read The Highway Code, either in print or online via the .Gov website. It’s easily divided into different sections so you can clearly see which sort of information is relevant to you. As well as rules for the road, it also contains road user etiquette tips to make being on the road easier for everybody, including pedestrians and cyclists. Sometimes, as our bodies change, we suffer from issues that can affect our driving. If you’re struggling with any part of your body it can prohibit your ability to drive – especially issues with your eyes, as stated above. However, if your arms and/or legs are affected, it can take longer for you to manoeuver a vehicle and also react to hazards. If necessary – and within your costs – you can have your car outfitted with extra aids in order to make driving easier, or you can see what other kind of help is available in order to ensure you remain safe if you stay on the roads. It’s also the case that you may want to stick to routes you find easier to drive – but if it any point you begin to feel unsafe, even on familiar roads, you should consider what you need to do in order to best suit your needs. At Trust My Garage, we believe the most important rule of all when it comes to driving – no matter your age – is to stay safe. If everyone uses the road in a safe manner, it should be much easier and more agreeable when it comes to driving. It’s also paramount that your vehicle is safe too, and if you want to ensure your motor is running in great condition, you can take it to your local Trust My Garage member, operating as part of our Chartered Trading Standards approved consumer code. They can help you keep your car running as smoothly as your driving, and keep you motoring ahead for the future. Trust My Garage is a collection of Britain’s best local garages – every one different and every one dedicated to the highest standards of skill and personal service. All the garages in Trust My Garage are members of the Independent Garage Association which is part of the RMI, one of Britain’s oldest motor trade organisations. IGA members are true professionals who have to comply with a strict code of practice. Each and every customer of all Trust My Garage members can rely on using a nationally recognised brand to help you and your vehicle get the best value service for your money. Visit www.TRUSTMYGARAGE.co.uk and type in your postcode to find your nearest trusted independent garage. Which car maintenance tasks are becoming a thing of the past? Vehicle technology is evolving at a rapid pace. Modern cars are more sophisticated, intelligent and responsive than ever. As a result, vehicle technicians who are a part of Trust My Garage have to continue to complete training courses and invest in the latest equipment in order to successfully service and maintain your car to the highest standards. But where does that leave you as the owner? Decades ago if your car had a problem and money was tight you’d probably invest in a cheap manual and socket set, and patch over the cracks yourself. But with vehicles becoming more and more complicated, largely through having a lot more on-board technology, this isn’t an easy thing to do. Indeed, the AA recently stated that half of the 3.4 million call-outs it attends every year are caused by poor maintenance. Of course, there are still some basic maintenance tasks you can carry out yourself, such as checking fluid levels, tyres, mirrors, etc, but many of the maintenance tasks we performed ourselves a few decades ago have been consigned to the toolboxes of history. To illustrate how the modern vehicle is evolving, we look at a few of the maintenance tasks that have become a thing of the past. Hands up if you remember standing outside, wearing more layers than the Michelin man on a cold, frosty winter night, and pouring antifreeze into the car to ensure that the water in your engine was not frozen the next morning? These days are long gone now, because most cars manufactured post-1998 use organic acid technology – or OAT – which acts as an extended life coolant. OAT consists of different chemicals than traditional engine coolants, meaning that antifreeze only has to be replaced every six years or 600,000 miles, negating the need to check levels every single winter night. Remember having to top up the water levels in your car battery? Vehicle batteries were not as sophisticated years ago as they are today, and had to have their water levels checked regularly to reduce the risk of them overheating. Drivers used to have remove the vent cap and look down into individual cells to check water levels, topping them up with distilled water when necessary. For modern cars this is no longer necessary. Batteries are now sealed units and in most cases are maintenance free, meaning that any battery issues are best left to highly trained professionals, such as the vehicle technicians who are a part of Trust My Garage. If you own a vintage car, or an electric lawnmower, there’s a chance you’ll be purchasing non-alcohol fuel stabiliser, to protect replace the lead that’s no longer in the fuel and protect it from the ethanol that’s now in modern fuels. However, if you own a modern car (and live nowhere near grass), you probably haven’t even heard of the stuff. That’s because vehicle engines are a lot more robust, durable and rust-free today than they used to be, brought about largely by the availability of new materials that can be used to manufacture engines. Engines today live a lot longer than they used to, and engine maintenance is always best left to a qualified expert. Ever wondered why, when driving down a country road on a hot summer day, there’s always someone taking their vintage car out for a drive? Not only does it look good, but it’s also an essential part of maintenance. Many years ago cars had to be driven regularly in order to keep them in tip-top condition. Of course, it still helps to use your car regularly now; keeping it dormant still runs down the battery a very low level as there are so many systems in the car that are “live” and protecting the car when switched off – even though they draw very small amounts of electrical current. But modern cars are more robust than their predecessors and do not require quite as much driving to stay in shape. Put down that spanner, and get your car maintained in a professional manner. The best way to keep your car in tip top condition is by having it regularly serviced and maintained with your local Trust My Garage member. Our members can service all types of vehicle to the highest standard and can even advise you on some of the checks that you can still carry out yourself today. And just like the motor vehicle, Trust My Garage has come a long way over the last few years. Today, we are the only truly independent code exclusively for independent garages. Want to find your nearest member? Enter your details in our postcode finder. When purchasing a car seat for your child or baby, ensuring you have the correct size can be something of a complicated process, especially in light of changing regulations. The rules around car seats are set to change over the next two to three years as a result of both UK and EU legislation. With this in mind, Trust My Garage take a closer look at everything you need to know in order to keep your child safe and to ensure you’re not breaking the law. The current laws in place stipulates that a child travelling in a car must use a child car seat until the age of 12 years old or until they reach the height of 135 cm. Under new rules which are set to come into force later this year, backless booster seats are set to be restricted, resulting in them only to be used for children who are taller than 125cm and weighing more than 22kgs. The results have come about due to concerns regarding the safety of the booster seats, especially in regards to younger children. Experts are recommending that parents should instead high backed booster seats, as they provide a greater level of protection, guiding the seatbelt across a child’s body properly. In addition, tests have shown they offer a greater level of protection in the event of side on crashes in comparison to their backless counterparts. The new rules are expected to come into force by the end of the year, meaning the rules will be applied to all new products released from 2017. In addition to UK regulations in regards to booster seats, the EU has also announced the introduction of the the European standard i-Size car seats. The new seat plans were announced in 2013, with the aim of making the process of buying a car seat simpler and safer, with the changes in legislation set to come in force in the UK by 2018. The i-Size seats are to be fitted into cars using a system referred to as Isofix, a system whereby metal bar connectors built into the chassis of the car are used to connect the child car seat, making the connection much more secure. Additional security is provided either a support leg which will be built into the seat or a top tether, which will ensure the car seat does not move forward in the event of an accident. All cars manufactured today will be Isofix equipped, however you should bear in mind that not every car comes with Isofix, it was first introduced in 1997 in the Volkswagen Golf IV and more widely introduced from 2004 onwards. The other significant change we will see as a result of i-Size car seats, will be that the correct seat will be identified by a child’s height, rather than weight, making it much easier for parents to identify the right seat for their child. The importance of fitting a child seat correctly cannot be overstated, with worrying statistics from RoSPA revealing that an estimated two thirds of all child seats are fitted incorrectly. As such an important factor in keeping children safe on the road, parents need to get the right advice and support during their purchase and installation. From birth to fifteen months, with a height of 40 to 80 cm, a rear facing seat should be fitted, with a five point harness. Aged fifteen months to four years, with a height of 80cm to 105cm, either a rear or forward facing seat can be installed, also with a five point harness. Aged four plus and with a height of 105cm to 135cm, a forward facing seat with a three point seatbelt should be installed. Once you have purchased your car seat, especially if this is your first one, it is recommended that you get it fitted by an expert. You can make an appointment with a qualified fitter at your store of purchase who will guide you through the process or alternatively, local council may sometimes run a car seat fitting clinic, so it’s always a good idea to contact your local council for more information and advice. For additional peace of mind, get to know your car seat really well, study the manufacturer’s instructions carefully and keep them somewhere safe, so you can refer to it should you need to switch the seat to a new vehicle. When installing a seat for a baby, the ideal position should be in a rear facing position on the back seat, ideally in the middle rear. Once a child is fifteen months old or they can hold their head up on their own, then this can be exchanged for a forward facing seat. The car’s headrest should not cause interference with the seat when installed, allowing the seat to be flush against the back of the car. The head rest shouldn’t touch the seat and it shouldn’t stop the car seat touching the car fabric. When the seat has been fitted it should firmly in place and should have minimal movement with plenty of resistance. Before setting off, ensure that the buckle is secure and locked into place, making sure the material part of the belt is touching the car seat frame. If you need additional advice on support in regards to child seats and restraints to ensure you remain safe on the roads, your local Trust My Garage member will be more than happy to advise. Find your local trusted garage by entering your postcode into our search finder to locate your nearest member. Or, by downloading the free Trust My Garage App, you can find services in your local area at the click of a button. Trust My Garage is the only government backed code solely for independent garages. The UK driving test looks set to witness the biggest changes in almost 20 years as the government plans to update the test in mid-2016 to reflect changes that have taken place in regards to both driving habits and driving technology. The plans are being introduced to help increase pass rates, which currently stand at just under 50 percent. Future driving tests will include more real life situations and conditions, it is hoped this will not only increase success rates but also prepare drivers more comprehensively for the reality of independent driving, creating more confident, proficient drivers. Trust My Garage takes a look at some of the changes learner drivers will be expected to face before they can rip up those L plates for good. One of the biggest changes to the driving test will be the inclusion of the satnav, now a commonplace navigation tool for drivers. Drivers will soon be expected to use a satnav for the first part of their test and be required to navigate their way to a specified location. The three point turn, more properly called the ‘turn in the road’, and a staple of the UK driving test, could be about to disappear. According to the DVSA, it is no longer a common procedure, and will be replaced with more challenging, everyday skills instead. In addition to the removal of the three point turn, reversing around corners could also be a thing of the past under new plans. With the removal of two manoeuvres comes the inclusion of two additional moves, including the requirement to drive forwards into a car parking space and stopping, and then reversing back out to the left or right when leaving a car park. This will replace the traditional reverse bay park and is being introduced due to the increase of trolley lanes in supermarket car parks, for drivers to take their shopping to their vehicle to store in the boot. It is thought that reversing into bays makes it difficult to open the boot when a driver reverse parks in the bay opposite. Another new manoeuvre is pulling up on the right side of the road in a convenient place, and then reversing back two car lengths, and then driving on when you are ready. Those who have already passed their test will be familiar with the current use of show and tell questions before the test begins, however under plans to make this more realistic, drivers will be required to answer questions on the move, including describing how they would perform basic maintenance checks, with the aim to create the feel of real life situations drivers will have to face. Currently once a driver reaches the age of 70 they are asked to re-apply every 3 years to renew their licence. Plans are now underway to increase this to 75. Reaching 75 does not mean you should stop driving, it simply means you will have to decide if you are fit to drive by renewing your licence and every three years after that. 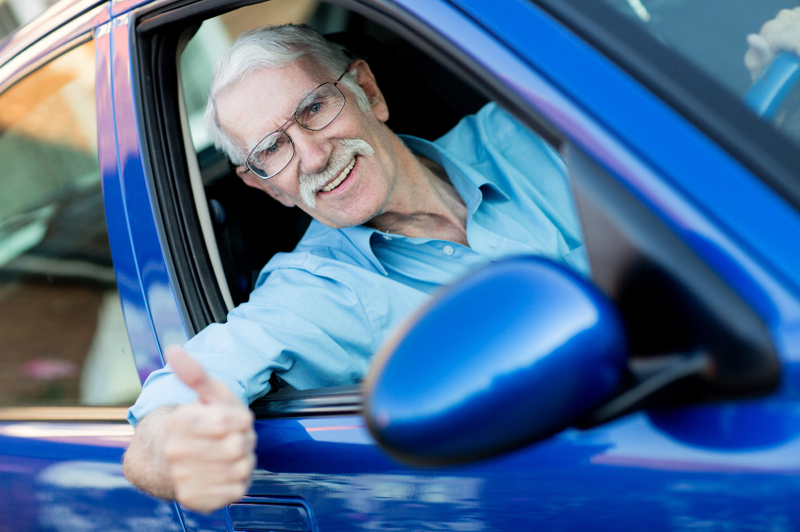 Being an older driver certainly doesn’t make you an unsafe driver, in fact with the experience and knowledge that comes with many years of driving, older drivers are well equipped to face the challenges of the road. However with ageing, inevitably there does come a time when our reactions may become slower and health conditions may have an impact on our ability to drive as we once did. Monitoring your health and being realistic about how this may impact on your driving, making changes when needed, will ensure you keep yourself and others safe on the roads. Health checks should include regular hearing and sight tests. Be aware of possible side effects of any medications you may be taking and the impact this could have on your driving abilities, if you are unsure, always seek the advice of your doctor. If you believe your reactions are slower than they previously were, plan your routes in advance, you may also decide to avoid driving at night or during times of high congestion, such as rush hour. You may also need to change your vehicle as you get older, and opt for a car with larger mirrors and windows to improve visibility. Knowing your limitations and making changes as a result is the sign of responsible driving and will ensure you remain a safe driver. Research from RoSPA has reported that drivers are more likely to have an accident during the first two years after qualifying than at any other time. Passing your test is just the start of your journey, a journey which will see you build up confidence, knowledge and experience. Passing your test is an exciting time but it doesn’t mean you now know all there is to know about driving; there will still be plenty of scenarios and situations you’ll have to face for the first time. Once you’ve passed your test taking an additional qualification such as Pass Plus, while not compulsory, is a great way to build on your newly acquired skills and knowledge in a safe and controlled way. There are a total of six modules covering topics including driving at night and on the motorway. Driving requires a huge amount of concentration, regardless of experience. As a new driver, maintaining concentration and focus is a skill that needs honing, so reducing distractions is a must. Avoid carrying other passengers if you can, as you build up your confidence, as they can be the biggest source of distraction. Leave your car stereo and mobile phone switched off, eliminating the risk of interruption from a call or your favourite song. Whether you’re an experienced driver or newly qualified, Trust My Garage can provide expert help and support to ensure your vehicle is in its best possible condition. With only days to go until the Easter holidays, many of you will be already thinking ahead, planning a short getaway to make the most of the long weekend. Latest statistics from Visit England have revealed that short trips are the fastest growing area of domestic holidays, with nearly 30 million one to three day breaks taken during 2013; a 17 percent increase from 2008, meaning more and more of us are choosing a staycation. This is great news, but with the number of cars on Britain’s roads increasing over this period and with forecasters predicting that the uncertain British weather looks set to surpass itself with the risk of flash flooding and even snow showers well into April, there promises to be a number of challenges for motorists to face. With this in mind what do you need to consider to ensure you keep on the move? Whether it’s your own car which breaks down or you’re stranded on a motorway as a result of an incident, the motorway can be an overwhelming prospect. Just recently, drivers on the M6 were stranded for more than 24 hours after a crash whilst maintenance workers repaired sections of the road. If you find yourself stuck on the motorway it can be tempting to keep your engine running, especially during cold weather as a means to heat your car. However, by doing this you run the risk of running out of fuel. If you find yourself stuck on the motorway with no end in sight, turn off your engine, turning it back on for ten minutes every hour, to keep your car warm. Before going on a long journey make sure you’ve packed blankets and extra clothes as well as water and food supplies, keeping you warm and hydrated in the event that you get stuck on a motorway. If your car shows signs of breaking down, such as making spluttering noises or the engine failing, the first thing to remember is not to panic. If possible, carry on until you come to the next exit and find a safe place to park. If this isn’t possible, move onto the hard shoulder, making sure your hazard lights are on. Once you’ve parked safely, get yourself and other passengers out of the car by the left hand doors; don’t be tempted to stay in your car as there is still a danger that your car could still be hit by passing traffic. Remove emergency items from your car and make your way to the safety barrier. Don’t be tempted to carry out repairs on a motorway, regardless of how simple or straight forward you believe them to be. Wait in a safe place and call your breakdown company. Alternatively, if you have downloaded the Trust My Garage app on your smartphone, you may be able to find a local trusted garage nearby which offers a recovery service. It is not only the motorway than can present problems if your car breaks down, side roads and isolated areas, can also be frightening places to suffer a break down. If it does happen, if safe to do so, place a warning triangle at least 45 metres away from your car, letting any other drivers that may be passing of your presence. Get back in your car, ensuring your doors and your windows are locked and your hazard lights are on. Keep your phone well charged and call for help remaining in your car until help arrives. The risk of flash floods as seen across the country in recent weeks is likely to pose a threat well into April according to forecasters. In the West Midlands alone, a number of weather warnings recently resulted in drivers being stranded in flood hit roads. If you are faced with floods and heavy rain and are considering driving you should first check the depth of the water. In most vehicles you should never attempt to drive through water that is up to the centre of your wheels. When driving through water, keep your speed to a minimum to avoid creating a large bow wave. If you find yourself stranded in flood water and your engine cuts out, don’t try to restart the engine as this could result in further damage. If possible make it safely to dry land, get out of your car and ensure all the windows and doors are locked to reduce the risk of further damage and wait for the emergency services. There are currently an estimated 7,000 breakdowns happening every day on Britain’s roads, and many of these could be avoided as the biggest cause of car breakdowns in the UK, according to breakdown providers, is car maintenance issues. This is easy to prevent if drivers are prepared for their journey. Punctured tyres, running out of fuel and a flat battery top the list as the most common causes of vehicle breakdowns. Keeping your vehicle well looked after, not only with regular checks yourself but with regular servicing at your local Trust My Garage workshop, will keep your vehicle in good condition, reducing the risk of your vehicle breaking down. Trust My Garage has a free app which not only allows drivers to locate their nearest Trust My Garage member, but during a breakdown or an emergency, drivers can instantly find out which garage provides a recovery service, meaning you’re only a click away from getting help. To find your local trusted garage just put your postcode in our garage finder and we will show you where your nearest Trust My Garage members can be found. And you can even submit feedback on the service you receive via the Trust My Garage website! To find details about your nearest Trust My Garage Member and the services they provide, or for more information regarding the Trust My Garage App, visit us here. How do I ensure responsible driving on busy roads? Latest figures from the Department for Transport has revealed that there are now more than 25.8 million cars on Britain’s roads, up from 25.2 million at the same time last year, meaning that five out of nine regions in England now have the equivalent of one car for every two people. With car production at a high and the use of public transport declining by more than 60 percent in the last six years, the number of cars on our roads is likely to continue to grow. With this in mind, how can you ensure you keep safe on the road? We’ve compiled the best advice to keep you and others safe when out driving. I’m sure we’re all familiar with the mantra “only fools break the two second rule”. Unfortunately, some drivers may need to repeat this a bit more often as research from the road safety charity Brake, has reported that around 14% of accidents happen as a result of tailgating and shunting. Keeping at least two seconds between you and the car in front during normal driving conditions and four seconds during bad weather, will give you sufficient time to brake if needed. It may seem obvious advice to keep to the speed limit, but drivers not keeping within the limit is one of the biggest causes of accidents on the roads. Keeping to the limit is a requirement and keeping inside the target will reduce hazards and the need for heavy braking. Remember, British motorways have a maximum speed limit of 70 mph and you should only be in driving in the right lanes if you are overtaking vehicles on the left. One of the easiest things you can do to keep within the speed limit, is give yourself plenty of time for your journey. Planning ahead to make sure you have enough time, with a route plan will leave you much more relaxed, reducing your temptation to speed. The longer we do something the more it becomes second nature and this is just as true for driving. The benefits of being an experienced driver are obvious, however this experience has the potential to bring complacency. Before stepping into your car, make sure you are well rested, calm, alert and free from any other issues that may affect your attention. Driving at night is not ideal, but if you need to, there is plenty you can do to keep safe. If taking a long journey make sure you are well rested before you begin with your route planned in advance, with regular two hour breaks factored in. Don’t ignore the warning signs, if you still feel tired during your trip, find somewhere safe to stop as soon as you can. If you’re on a motorway, pull into your nearest service station – DO NOT stop on the hard shoulder and have a nap in your vehicle. Driving responsibly doesn’t end when you stop driving, how you park can have consequences for both you and other drivers. Are you aware that UK motorists are involved in 1400 car park-prangs every day? Keep your speed low when parking as this allows you greater control in a small space. Look in all directions including left, right and directly behind your vehicle as this is where a car could be backing out opposite from you and of course pedestrians could be there too! If your car has any form of automated parking assistance – from reversing sensors to a full blown auto parking mode remember that these are driver aids, not driver replacements! Once we’ve passed our test, unless it’s a requirement of your job, very few of us will have any additional assessments. As we become more experienced and more comfortable with driving we all have the potential to slip into bad habits. To curb this it’s a good idea to consider a refresher course every few years, ensuring you keep your knowledge and confidence up to speed. Being a responsible driver isn’t just about your behaviour and those around you. The health of your vehicle is also paramount. Beyond regular vehicle maintenance, there are various vehicle checks you can make to ensure your car is kept in good working order and reduce your risk of breakdown. Weekly checks should become second nature, if you’re not quite sure what you should be checking, remember POWER: Petrol, Oil, Water, Electrics, Rubber. Regular checks will help you spot any potential issues early, if you need any additional guidance, your local Trust My Garage member will be more than happy to help. While regularly monitoring your vehicle is highly recommended it is no substitute for regular servicing from a trained professional. Trust My Garage technicians are highly skilled and will be able to spot any issues and provide you with clear advice on keeping your vehicle in top condition. To find your nearest Trust My Garage member, visit our website and simply enter your postcode into our garage finder. You can also download the Trust My Garage app from any smartphone and it will instantly recognise your location before showing a number of trusted garages nearby. From the app, you can view garage feedback, view our educational videos and call one of our members directly to book a service, MOT, or recovery service. The motor industry has seen many key innovations over the years, and it seems that with each passing year there’s a brand new piece of technology brought out to make your driving experience safer, easier and more enjoyable. Research has shown that 55% of older drivers are planning on leasing or buying another car in the next five years, meaning more drivers will encounter first-hand some of the fantastic technological breakthroughs that are now available in modern cars. As with most new technology it can all be a little bit daunting at first as you try and figure out what each shiny new button does. To ensure you get the most out of your car, we’re showing you some of the best new technology and how, as older drivers, you can use them. Whilst some of them are useful, there are others that just might save your life. New technologies will enhance your safety, but do they come at a price? It’s probably fair to assume that many people will find themselves overwhelmed with all the gadgetry in front of them and all those new buttons, dials and knobs might distract you from driving. Voice-activated systems help motorists make the most of their car’s features by using their voice – which means their attention isn’t detracted from the road. Intelligent Parking Assists (IPAS) are incredibly useful and take the stress out of parking. You’ll know how frustrating it is when you’re trying to find a place to park your car and the only spots available are too tight for you to manoeuvre into, meaning you drive around in fruitless circles for half an hour. Parking in big cities is becoming increasingly limited and there’s a greater need for perfect parallel parking – this is easier said than done, however, and if you’re under pressure from traffic you can easily find your nerves being shredded and your bumper bruised. Whilst IPAS doesn’t completely take control of the car (yet), and you are still responsible for the speed of the car, it manages the tricky aspect of steering, perfectly parking the car into a tricky space. IPAS will not only ease the stressful act of parking but will help see reductions to your insurance premiums as you experience fewer bumps and scrapes. Whilst IPAS might save you frustration, Vehicle Stability Control (VSC) might save your life. It’s a system that helps stabilise your car when it’s going round a curve and if it senses a loss of traction will apply the brakes individually on each wheel and/or reduce engine power. VSC can help prevent crashes and is particularly useful in wet weather when grip becomes an issue. It’s important to note that VSC is there to help you, not to take over the act of driving for you, and you should always practise safe driving in the first place. It also won’t counter the performance of your tyres, so ensure they’re in good condition by having them checked at a local independent Trust My Garage member. Becoming tired at the wheel is incredibly dangerous and according to Think! is responsible for 20% of accidents on major roads. There are certain steps you can take to help prevent falling asleep at the wheel such as taking breaks every two hours, stopping if you start to feel tired and taking short naps at a service stop or in a suitable lay-by. However, technology is now helping to prevent fatigue-related accidents. If your car senses that you’re becoming drowsy it will take actions, such as sounding an alarm to wake you up or blowing air on the back of your neck. Drowsy driver alerts are constantly being innovated and enhanced, and new Mercedes Benz cars actually create a driver profile for you, mapping your driving style. Once you start to show unusual traits, such as late steering, it will take into consideration the time of day and if it thinks you’re drowsy will alert you. Saab’s on-board computer system even uses facial-recognition software to analyse your facial muscles and the time it takes for you to blink. Assistive driving technology can really benefit motorists, just as regular servicing can keep you safe on the road. To find your local independent garage for a service ahead of a drive, visit the Trust My Garage website and insert your postcode into our garage finder. Whether or not you believe that things were better in ‘the good old days’, it’s widely accepted that older generations had more of a hands-on approach to managing their vehicles. What would happen if we were to create a hypothetical time-travelling car quiz, and put an average modern day 25-year-old up against an average 25-year-old from 1973? The chances for the modern day driver winning are slim. The perception of older drivers is often a negative one, with claims that they’re no longer safe to be on the road. However, statistics disprove that, with recent figures stating that older drivers are involved in fewer accidents than drivers under 60. And, whilst over 70s make up nine per cent of drivers they only make up six per cent of driver casualties. Under 30s, on the other hand, make up 20 per cent of drivers but 35 per cent of casualties. 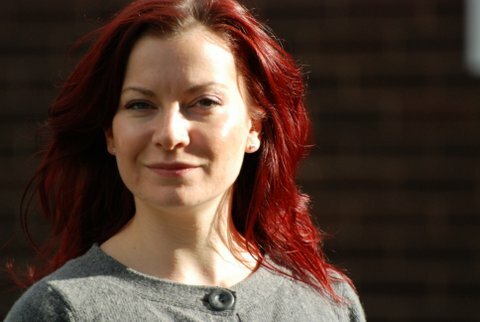 Rae Ellis is Business Development Administrator and PA to the Managing Director at Motor Marque, an independent garage and Trust My Garage member that’s been operating in Leeds for 16 years. She explains how and why younger people have a different attitude towards their vehicles, and how they can learn from older drivers. There’s no denying that cars today are considerably more complicated than they used to be, so people are less able to do things themselves. Young people also have less inclination to learn about their cars; this might be because they don’t have the time or that they simply don’t feel they need to because professionals exist who can do this for them. When a younger person gets home from college or work, they’ve got a whole wealth of distractions at their disposal, from video games to social media. These distractions simply didn’t exist in the past, meaning people could devote more time to productive tasks, including learning about their vehicle. Breakdowns happen all year round and many of these are unavoidable – but some could have been avoided if a motorist simply read their vehicle handbook. How many of us have actually read through ours properly? There is no excuse. These days, there’s more information available to motorists about car maintenance. On YouTube you can find videos of mechanics or technicians showing you how to do quite complex jobs – you can even find Trust My Garage’s self help vehicle maintenance videos! That doesn’t mean you should do every bit of maintenance yourself though, because a lot of tasks will require the skills and knowledge of a garage technician. Some garages, like us, offer training courses. Our own are usually targeted at women and we help them learn about basic car knowledge; how to check oil, tyres, topping up screen wash etc. We do this with the view to being able to make people feel more confident in checking those things. It’s all part of the service we offer. My gran’s friend gives her a lift to church every week and he checks the oil and screen wash levels as well as the tyre tread and pressure. In the long run, you save money by constantly checking these things. If you make sure your tyre pressures are always right then you’re not replacing a tyre because it’s worn out on the edges due to under-inflation. It might mean a small time investment every fortnight or so, but in the long run there is a cost saving attached to that, just like getting your car serviced regularly. If you get your car serviced regularly it might cost in the short term but in the long term it will cost you significantly less because you’ll be preventing damage and incurring expensive repair costs. My gran’s friend will have his MOT and service every year and they’re probably the only times he actually has to go into the garage. Whilst the need for regular servicing can’t be stressed enough, there are a number of things motorists can do themselves to keep their car running smoothly. It’s probably an attitude thing because I think that older generations perhaps have been less used to having those facilities available and for someone else to do it. In today’s world if there’s anything you want or need you can easily find someone who can do it. Perhaps before there weren’t as many of those services available, or maybe they weren’t as affordable to everybody as they are now. Cars are now faster and smoother, meaning you can think you’re doing 30mph but you look down and you’re actually going a lot faster. Cars are more of a status symbol these days; whereas for the older generations simply having a car would have been a huge status symbol itself. Now, it’s not about whether you have a car, it’s all to do with what car it is, how new it is and often most importantly, how fast it goes. This doesn’t apply for everyone, but for many young people it does. It’s something that’s definitely been fuelled by the media; you just have to look at some of the films and programmes that seem to advocate driving at ridiculous speeds. There are a lot more cars on the road these days, so statistically incidents of road rage and accidents will have increased naturally. However, there’s far more technology in cars these days and that means there are more distractions. You’ve got in-built Sat Nav, MP3, DAB radio and you can even watch movies or television (though you should never do this while actually driving – leave it to the passengers!) However, even passenger TV viewing can have a detrimental effect on people’s driving, as distractions can easily lead to mistakes, accidents and vehicle damage. If you’re retired you don’t have to be somewhere in such a rush, you’ve got a bit more time to plan things and perhaps you’re a bit more sedimentary in your life anyway. If you’re young and you think you’re invincible then you may be more inclined to drive too fast and be less tolerant of other drivers. People have less inclination to be well prepared these days. Most modern cars don’t come with a spare tyre anymore, and whilst many of them come with a tyre canister, there’ll be a lot of people who probably don’t know that they’ve got it, let alone how to use it. People might not even be aware that they don’t have a spare tyre until they get a puncture. It’s important to prepare your car in case of an emergency, and that means having blankets, water, boots, Hi-Vis vest and warning triangle. In a lot of countries it’s compulsory to have these things; we’re quite rare in this country that it’s not. Trust My Garage recently explained what you should have in your vehicle in the event of a breakdown and there are some really great ideas in that blog post. To find your local independent garage visit the Trust My Garage website and insert your postcode into our garage finder. There are more older drivers out on our roads than ever before, according to a recent study by the RAC Foundation. It is claimed that there are more than four million people aged 70 and over who hold a full, valid UK driving licence. And the oldest licenced driver is a 107-year-old woman. Statistics show that drivers aged over 55 are the least likely to be involved in an accident – but the chances of being seriously injured if involved in one increases from the age of 65. At Trust My Garage, we aim to keep all drivers safe on the road, especially if they are more vulnerable due to aged-related health deterioration. Obviously, if you have a medical condition or disability that affects your fitness to drive then you must inform the DVLA straight away. But, if you are still fit and safe to drive, we want to ensure that your car doesn’t let you down. So, what can you do to help keep you safe on the road? 1) Check your eyesight. In order to drive safely, you must be able to see properly. This may seem like common sense, but sometimes you may not realise that your eyesight has worsened over time, and if you can’t read a car number plate from 20 metres – with or without corrected vision – then you should consult your optician straight away. 2) Don’t feel pressurised by other road users. It’s easy to feel intimidated by a driver following too closely behind you, but don’t go any faster than you feel comfortable with doing, and never above the speed limit. If you need to slow down a bit to give yourself that extra bit of time to react when coming up to a junction or other hazard, then you do that. Don’t become a reckless or dangerous driver because of feeling pressured to go that extra bit faster. 3) Visit your doctor to resolve any niggling health complaints. So, if your neck is giving you discomfort and you may have difficulty in turning your head, visit your doctor who may be able to show you some exercises to ease it a little bit. 4) Buy accessories and adaptations for your car to make it easier to drive. If you are worried about forgetting directions, then a Satnav will make your navigation considerably easier and can save you from unnecessary worry. If you do suffer with a stiff neck, then you can attach stick-on blind-spot mirrors to your door mirrors, so you know what’s coming up beside you. And, you can use coloured stickers to mark different speeds on your speedometer, so you can clearly see how fast you’re travelling. There are plenty of tips we can give you on keeping safe on the roads, but nothing beats ensuring your car is properly maintained. It goes without saying that years ago cars were designed much simpler than they are now. The days are mostly gone where you could tinker about under the bonnet and replace the oil or old spark plugs. Now, many modern cars’ mechanics are computer controlled and diagnostics and repairs can only be carried out by a trained mechanic using the latest tools and equipment. So, we want you to know that you can place your faith in Trust My Garage. We have around 2,000 garages signed up to our scheme across the country, all of which are committed to providing the highest quality services and repairs. And not only will we be able to give your car the thorough inspection it deserves to keep you safe when travelling, all of our garages also adhere to our Customer Charter. We will only charge you for work completed and parts supplied and fitted – we don’t include any hidden costs, or hike up the prices. And we use up-to-date technical information, techniques and tooling; always following your vehicle’s service schedule. This means that you will go home satisfied that we have treated you and your vehicle with respect. So, if you feel that your car could do with having a good looking over – if only to give you peace of mind when travelling – then just type your postcode into our garage finder to locate your nearest member. Fuel-efficient driving – How can you make your motor’s MPG go the extra mile? Do you like TRUST MY GARAGE?